MILWAUKEE – March 30, 2015 – Associated Bank announces a unique contest known as “Winning Hank.” This contest gives our hometown baseball fans the chance to win two exclusive Associated Bank Check Deck tickets including drinks, unlimited food, a general parking pass, and access to the new Associated Bank “Check In” gate for the April 7th game at 7:10 p.m.
We’re not fooling! 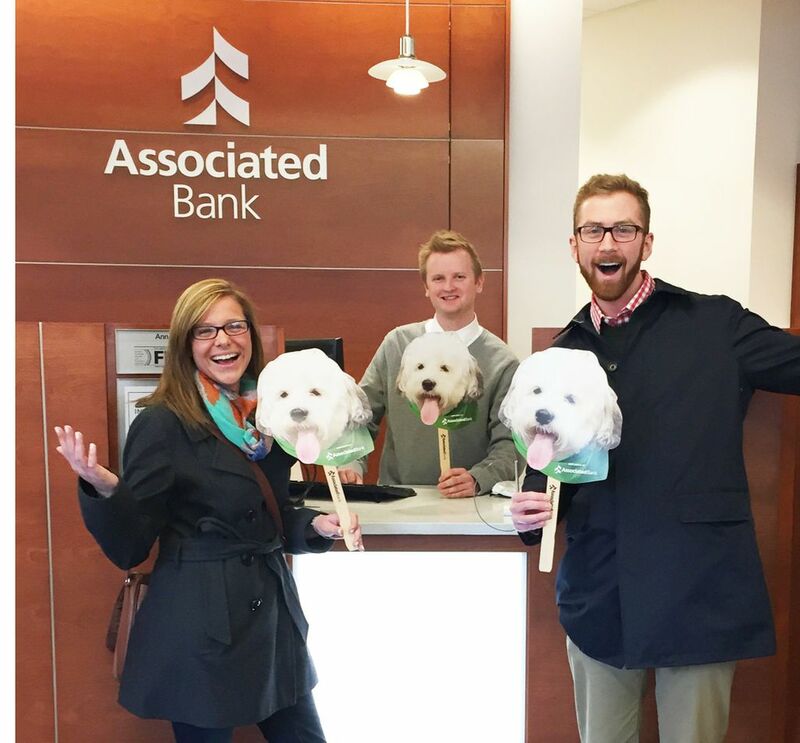 On Wednesday, April 1, 2015 (April Fool’s Day), fans can stop in at any bank location and ask a teller for one “Hank on a Stick,” which is a cut-out photo of Hank the Ballpark Pup’s face attached to a stick handle. A limited supply of early release “Hanks on a Stick” will be available at all Southeastern Wisconsin Associated Bank locations. (Visit www.associatedbank.com/maps to find Associated Bank locations and operating hours.) Twenty winning “Hanks on a Stick” will be marked with a special glitter baseball sticker. “To celebrate Associated Bank’s extension of our partnership with the Milwaukee Brewers including a new premium seating option, we welcome all fans to participate in our ‘Winning Hank’ contest and have a chance to win an Associated Bank Check Deck experience,” said Christopher Piotrowski, EVP and chief marketing officer at Associated Bank. The new Associated Bank Check Deck offers premiere seating with a great view overlooking the field Brewers bullpen from left centerfield. Check Deck tickets include an “all-you-can-eat” buffet, which features a range of delicious items including Klement's Bratwursts and hot dogs, pulled pork, grilled chicken breasts, baked beans, corn on the cob, coleslaw, cookies and unlimited soft drinks. In addition, each ticket to the Check Deck comes with two complimentary draft beers per adult, a private bar and flat screen high definition TVs.